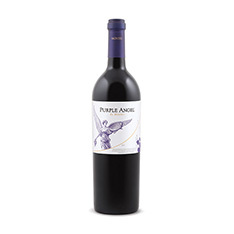 Consistently among the finest expressions of Chile's signature Carmenère variety, Purple Angel is also consistently among Chile's finest wines, period. This 2015 offering is no exception, and it shows why Aurelio Montes is one of the leading lights of the Chilean wine scene. Look for dark fruit and smoky herbs wrapped in substantial tannins and pair the wine with herbed steaks.